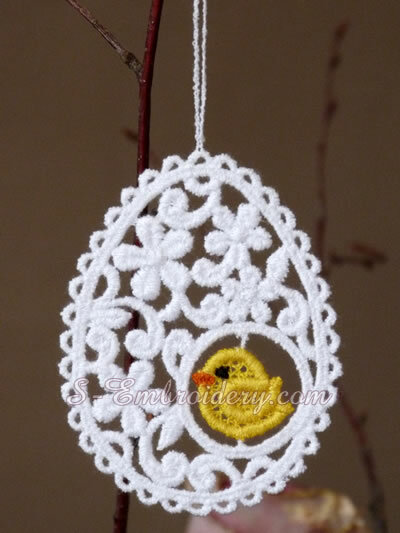 The Easter egg free standing lace design is delivered in 2 versions. 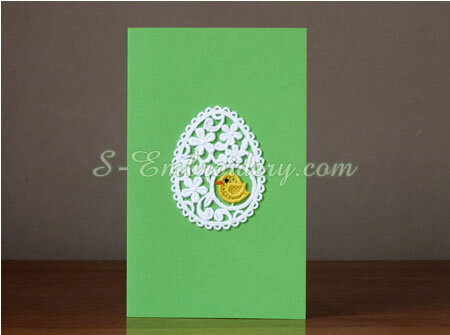 The first version is a free standing lace ornament for decoratin g easter greeting cards. The second one is an Easter egg with a loop, so that it can be used for hanging the ornament. Both versions will fit in 4 x 4 (100 x 100) hoops. The size of the egg is 2.62 x 2.92 inches (57.5 x 74.1 mm) while the egg with a loop has a size of 3.92 x 3.63 inches (99.6 x 92.2 mm). 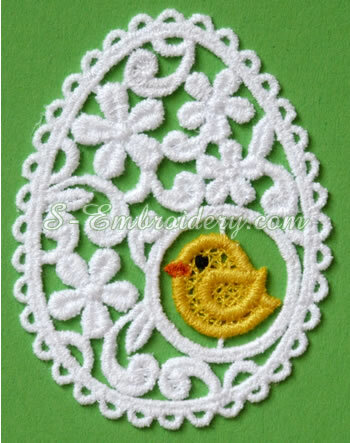 Please note that the above sizes indicate the size of the egg embroidery design in the hoop. 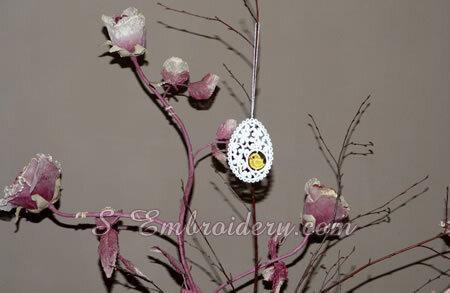 The size of the ready embroidered Easter egg itself would be approximately 55 x 72 mm (2.2 x 2.8 inches). The number of stitches is between 15,000 and 15,400. Both versions have 4 colors. You receive 2 machine embroidery files and design information and instructions for free standing lace ornaments in PDF format.